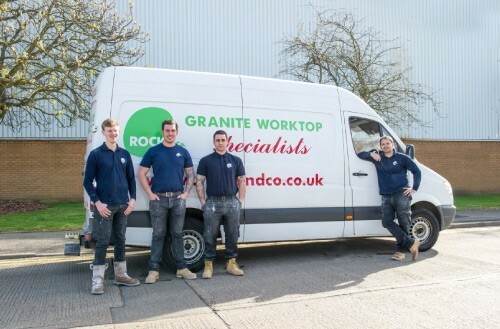 Welcome to Rock and Co Granite & Quartz worktop Specialists. 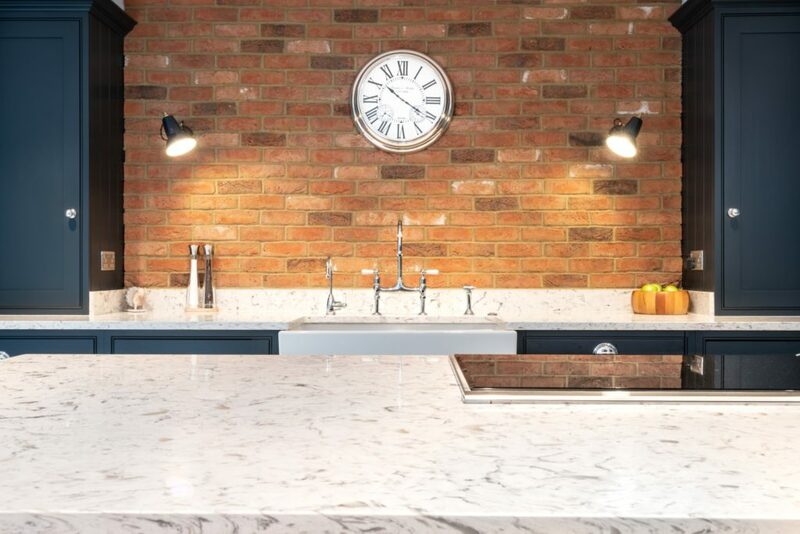 Showrooms located in Hertfordshire and Cambridgeshire, installation teams nationwide. 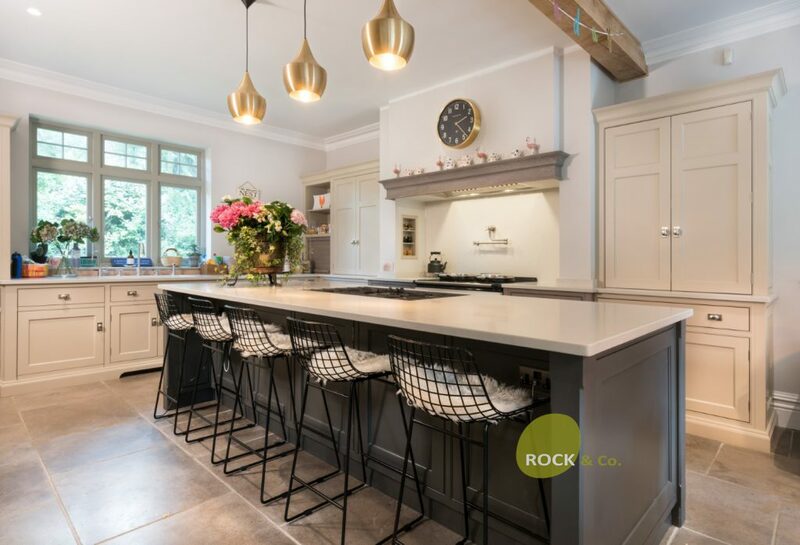 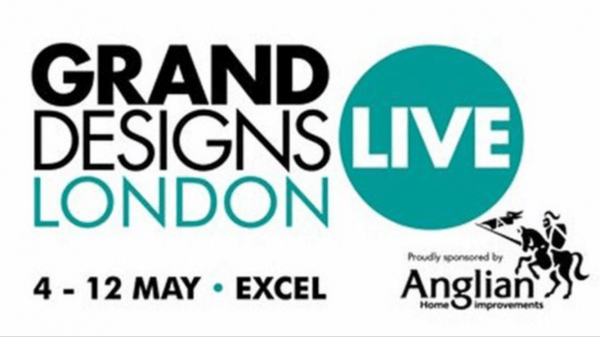 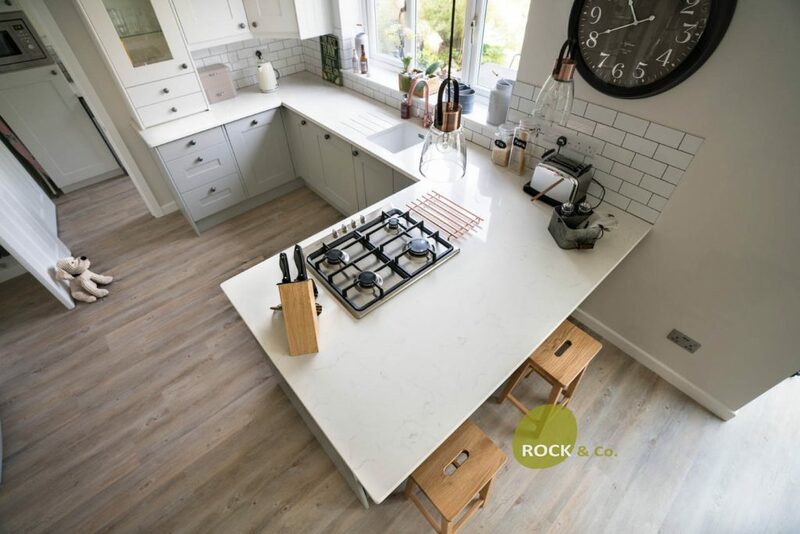 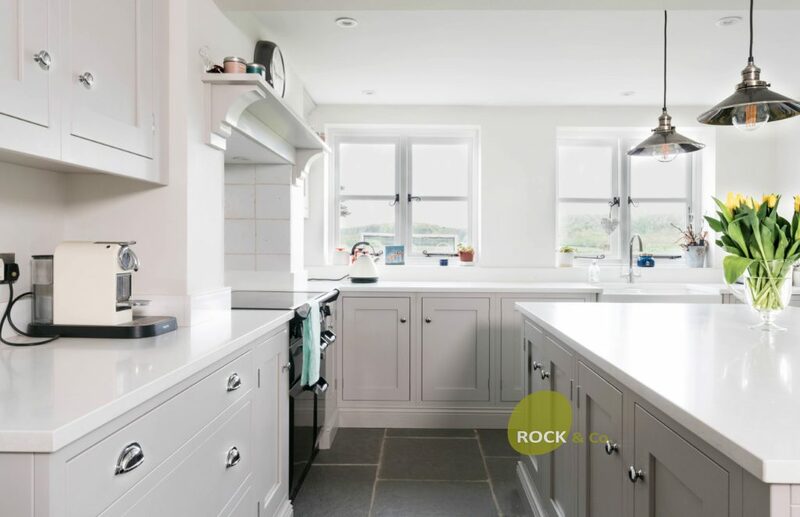 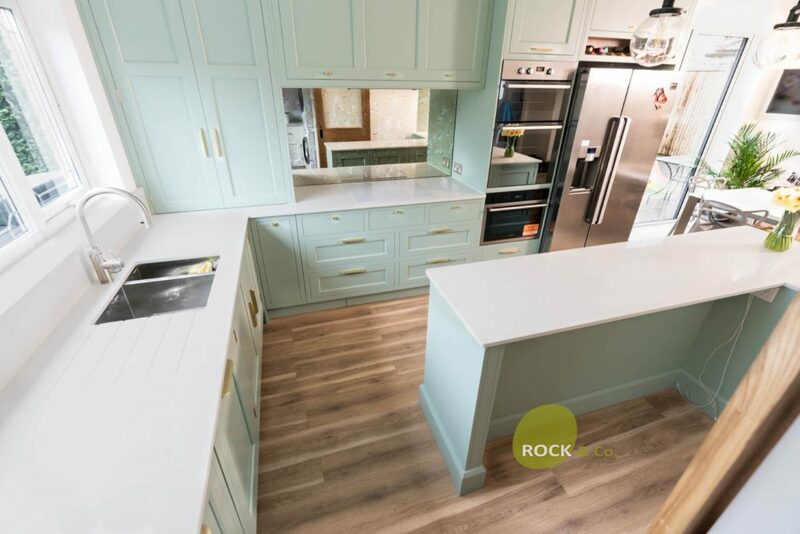 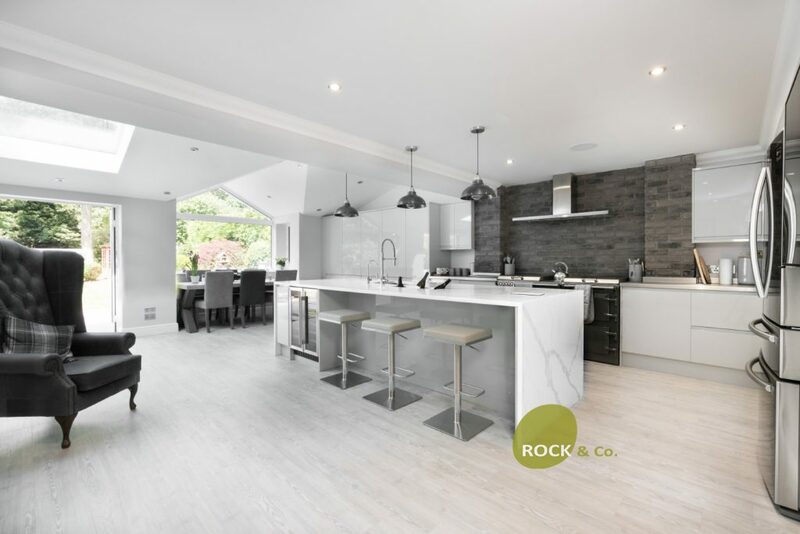 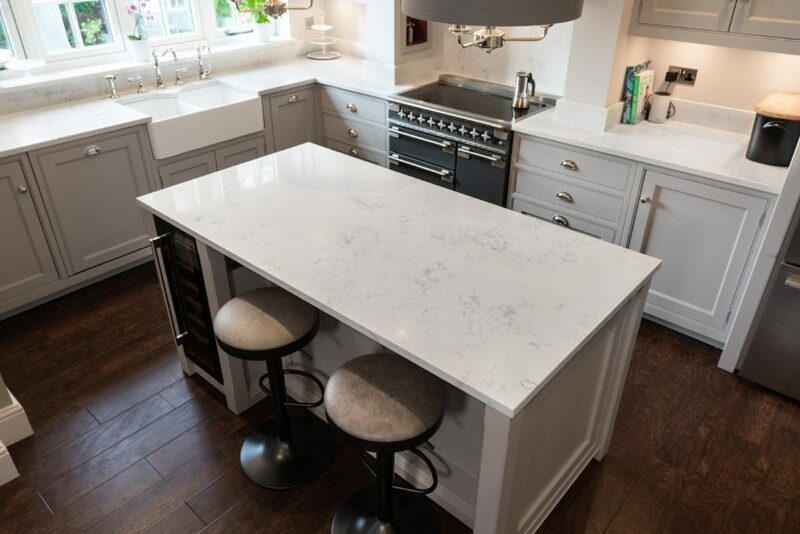 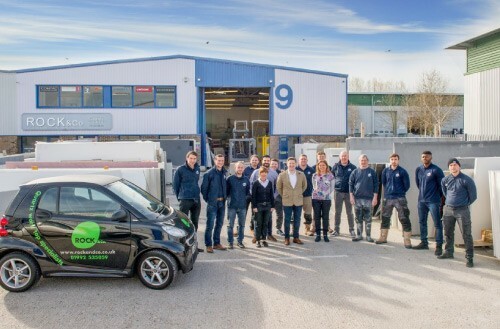 Rock and Co is a leading manufacturer and supplier of luxury Granite and Quartz kitchen worktops based in Hertfordshire, with two new showrooms and manufacturing facilities announced in 2017 in Cambridgeshire and Hertfordshire. 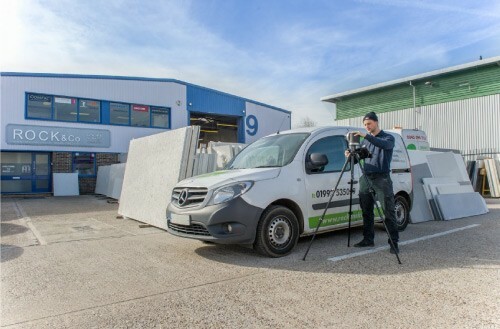 Since our early beginnings we continually strive to deliver the best quality stone materials and service in the industry. 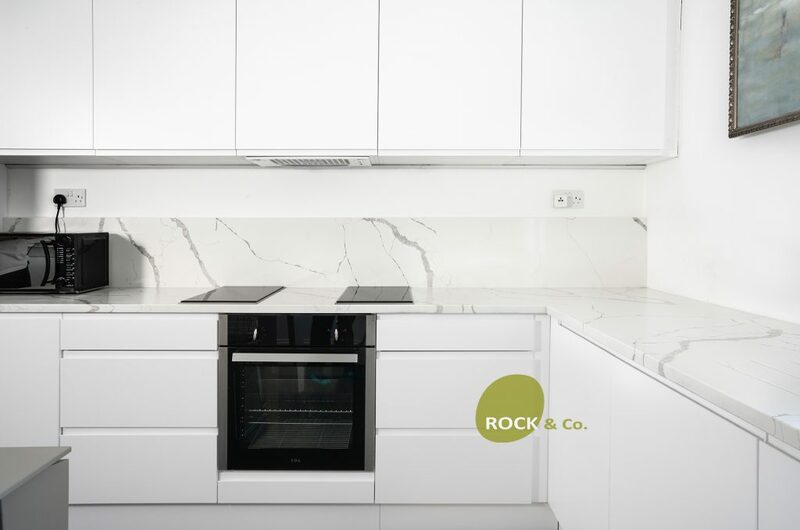 Rock and Co boasts a factory in the heart of Hertfordshire featuring the latest state of the art Cad Cam, CNC precision machinery and LaserProducts Templating which not only allows us to work from Architectural drawings (including DXF or traditionally where required) but is very fast and accurate to 1/10th of a millimeter, ensuring perfect fitting of our Granite & Quartz worktops every time. 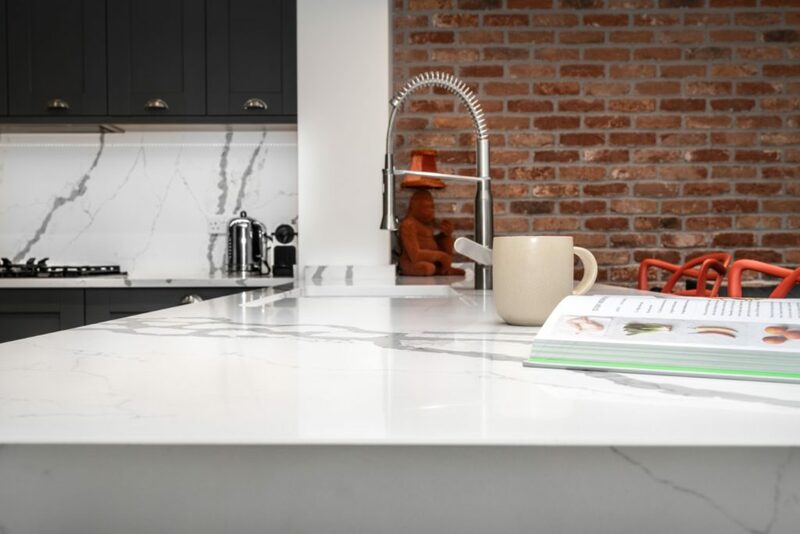 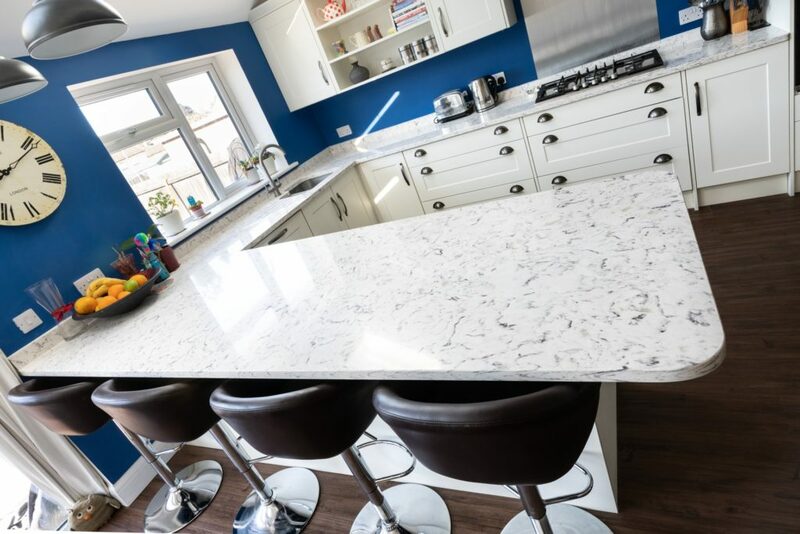 If time is of the essence, we have the ability to turn around your new worktop in as little as 48hrs with our express service (please enquire for details). 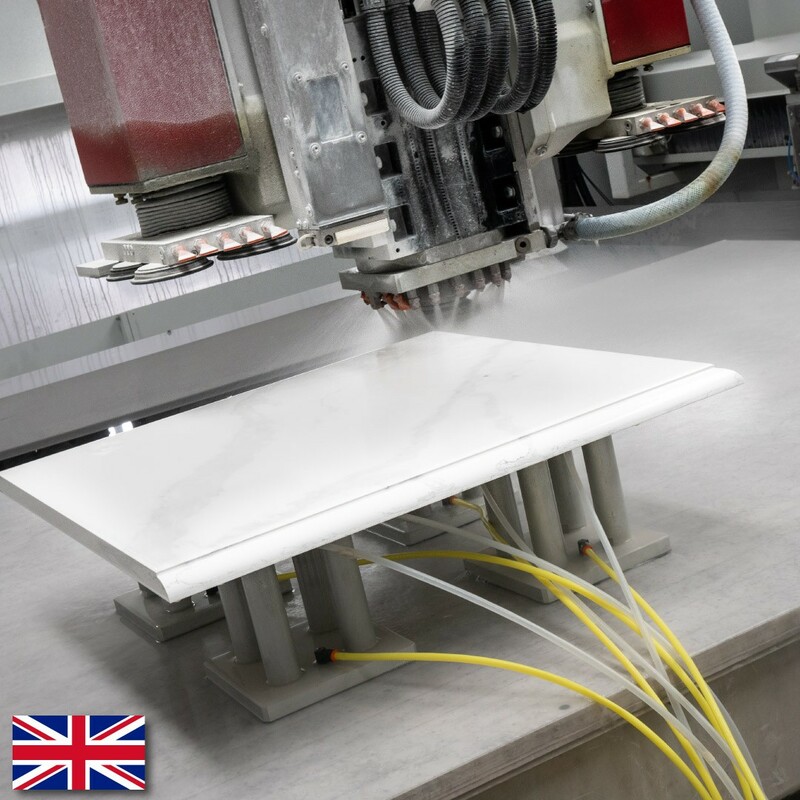 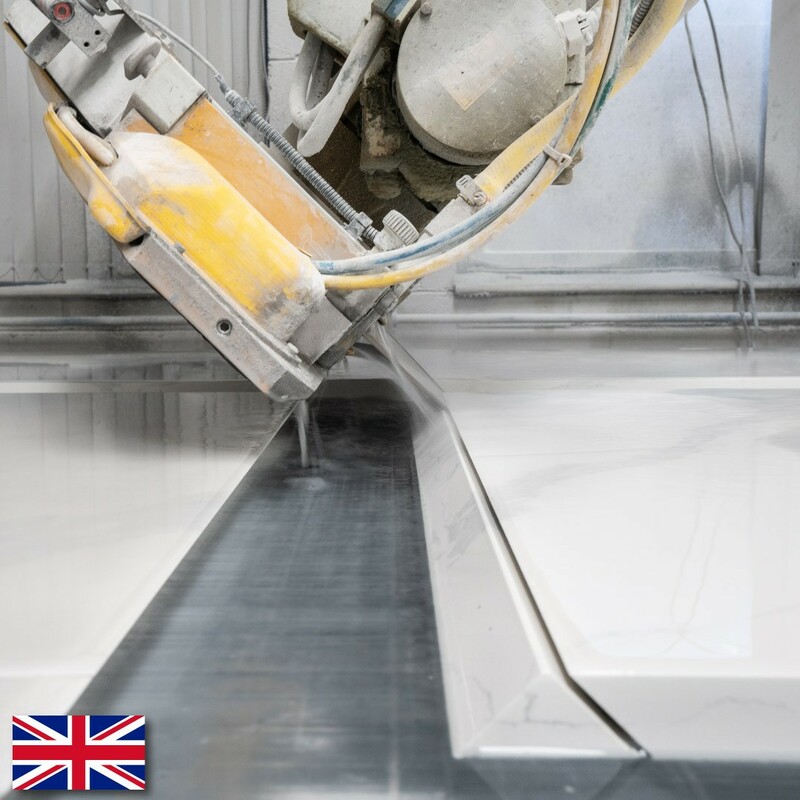 We are currently working on a 5-10 working day turnaround due to the current demand for our services, we are training up new fitting teams for our store opening in Cambridgeshire which will allow us to achieve a 3-5 day turnaround again – still very impressive given the skill required to accurately template the worktop but also fabricate to such high standards. 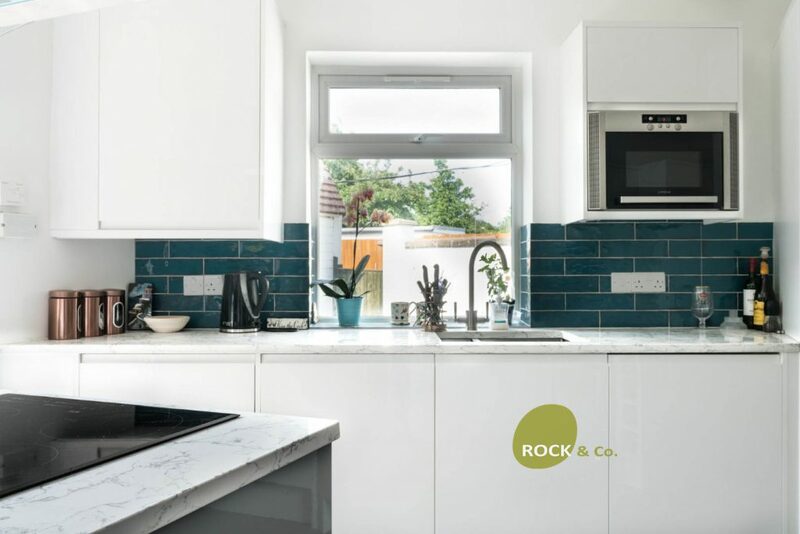 All installation is carried out by Rock & Co employees, we do not use sub-contractors, our fitters will show you their I.D badges on arrival. 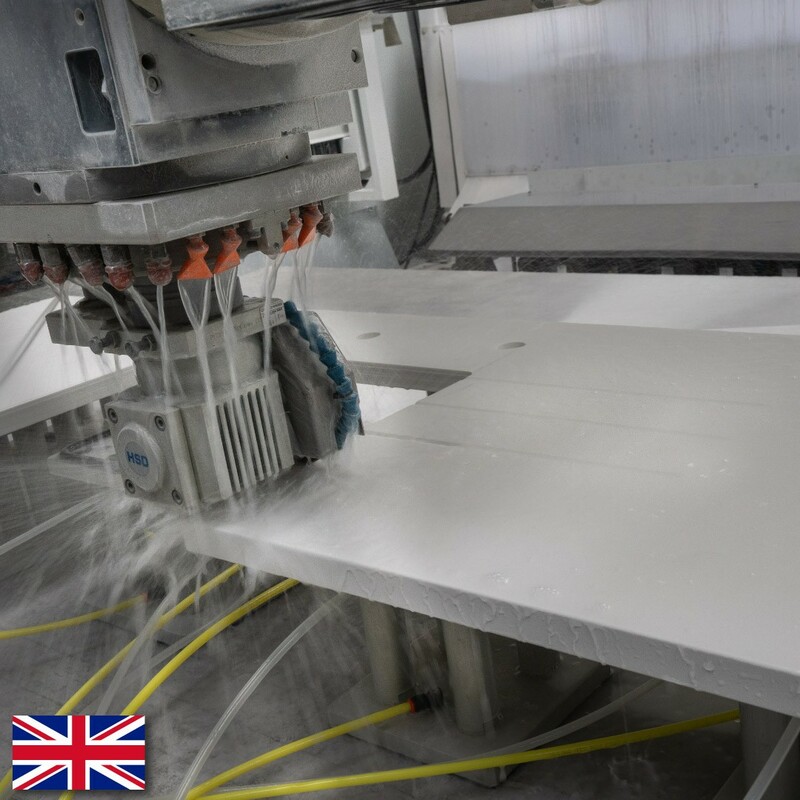 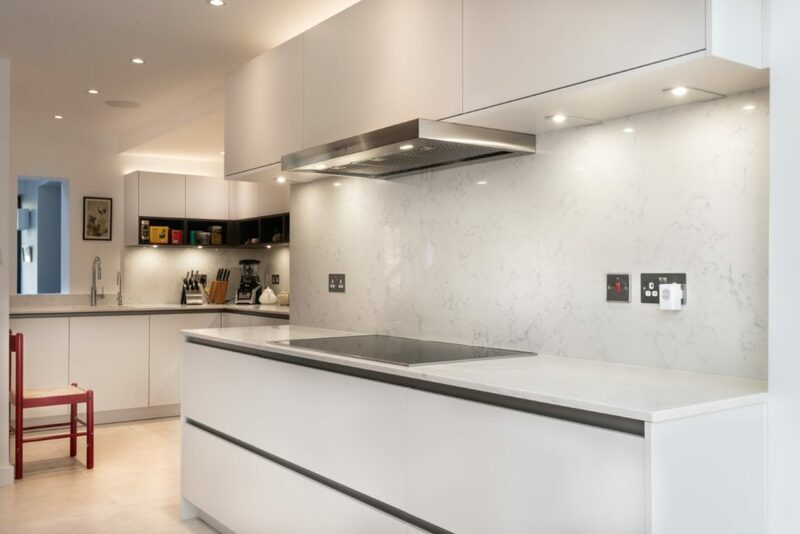 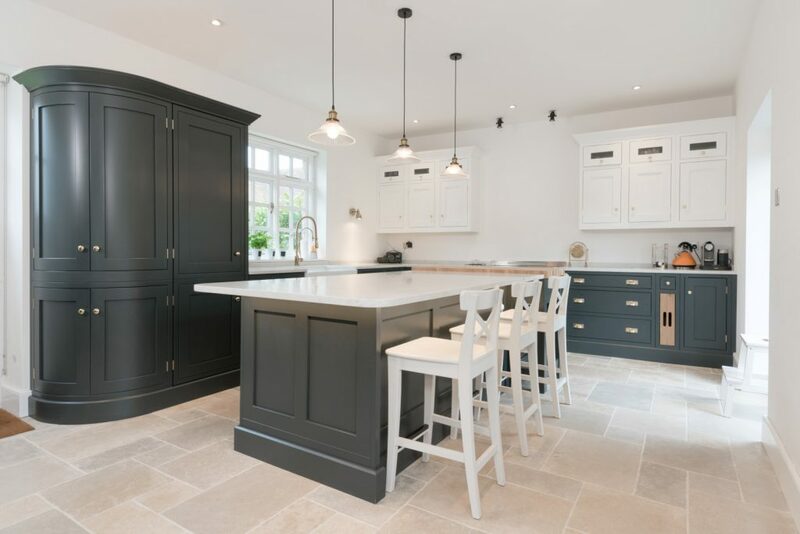 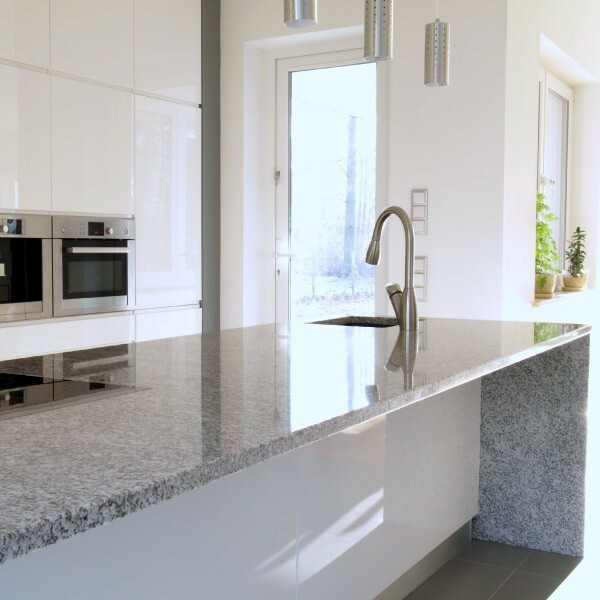 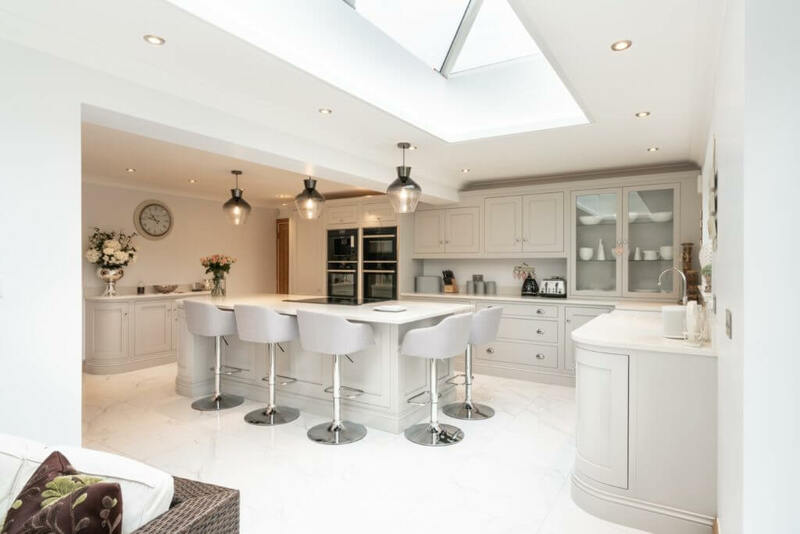 We source our exclusive and high-quality Granite worktops directly from a select panel of manufacturers (including from Italy & Spain), producing a comprehensive variety to suit all tastes and requirements. 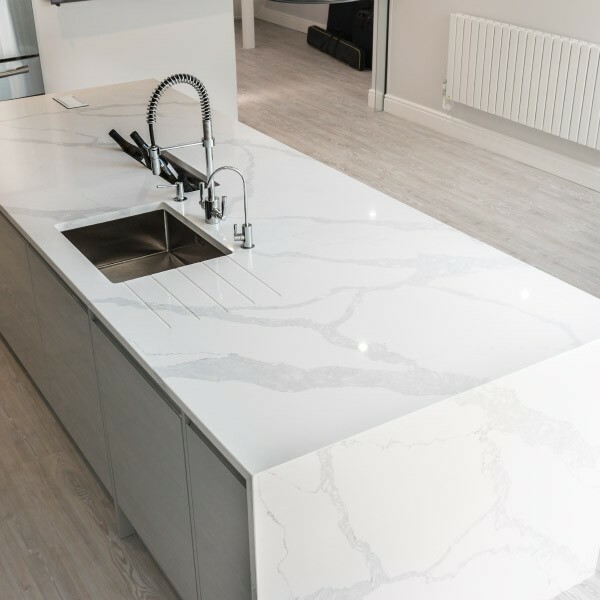 Both our Granite & Quartz materials are readily available to be viewed at our in-store showrooms in Stevenage & Cambridge.